International Business Research (U.S.A.) Inc. was founded in 1989 to meet the growing demand for accurate, timely, cost-effective business intelligence and investigative due diligence. IBR's mission is to support clients with comprehensive research and penetrating analysis that only experience can provide, ensuring regulatory compliance and identifying potential concerns at an early stage. 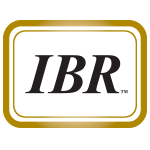 Over the past twenty-five years, IBR has established an impeccable reputation for high quality background checks, "know your customer" vendor screenings, and due diligence investigations. Our clients include Fortune 500 companies, investment banks, commercial banks, insurance companies, venture capitalists, and law firms in the Americas and around the globe. A large investment bank hired IBR, as part of their due diligence process, to do a background check on the issuer’s management. Included in this group was the company’s “financial wizard.” IBR determined that this individual had been previously involved in money laundering for a drug cartel and was a convicted felon. This was news even to his colleagues, but it explained the basis of his financial skills! A major corporation, considering the acquisition of another company, needed discreet inquiries regarding the management of the target company and its position in the marketplace. IBR’s “due diligence” research uncovered a pending labor dispute, a fact not known by the major corporation. This information was critical to the negotiation process. A major U.S. based financial institution, considering a $100 million financing of a foreign businessman’s company, requested a background check on the individual. IBR determined through careful review of foreign news clippings that the individual had been arrested for fraud, though he was subsequently acquitted. Knowing this information prior to a commitment was very important to our client. An institutional investor hired IBR to learn more about the background and credentials of a fund manager and his team. IBR quickly uncovered ‘padding’ of the fund manager’s résumé, as well as a lawsuit by a prior investor that alleged inappropriate conflicts of interest. Based upon this information, our client decided not to risk their capital with the hedge fund. As part of the pre-employment screening of a candidate for a senior management position, IBR discovered personal financial difficulties due to gambling debts. The candidate was hired, but only after satisfying the concerns and requirements of the corporation about his personal financial obligations. A major pharmaceutical company hired IBR to look into the backgrounds and reputations of several international vendors. Local media searches and discreet primary source interviews revealed that some vendors not only had connections to organized crime, but also were providing kickbacks to certain purchasing members at the pharmaceutical company. Subsequently, the company dismissed the offending employees, tightened internal controls to ensure FCPA observance, and initiated a USA Patriot Act-compliant program of enhanced due diligence. A litigator at a major law firm needed to determine the current status of a debtor’s assets and liabilities. IBR used methodical research to locate and confirm ownership of properties in the Caribbean, Hawaii and New York City – information vital to the client’s case. A large disability carrier had reason to believe a claimant of benefits was in fact employed – contrary to the claimant’s statements. IBR conducted a discreet fraud investigation and found employment contracts exhibited in SEC filings. The insurance company terminated the benefits and referred the case to the authorities for further investigation.